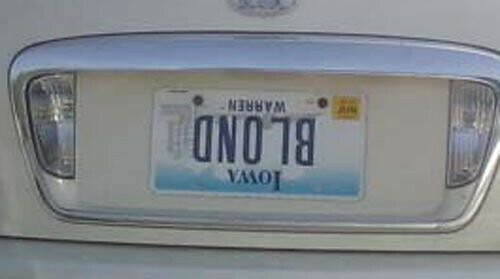 3 Responses to Great Plates and Bumper Stickers, Cont. Comes in handy when you flip the car over. I’m guessing that blond(e) gets his or her color from a bottle. clairol 100 proof, no doubt, shaken not stirred.